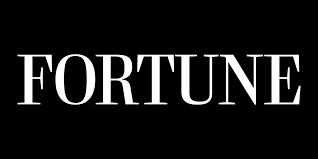 The US government claimed that digitization of healthcare records would improve the quality and value of healthcare; however, 10 years after legislation fast-tracked the move to electronic healthcare records (EHRs), even the architects of the effort agree that the $36 billion investment has not delivered as expected, the March 18 Fortune magazine reports. Though most hospitals now have EHRs, the systems are difficult to use, interoperability is poor, and a joint investigation by Kaiser Health News and Fortune has uncovered reports of patient deaths, injuries, and close calls linked to software glitches, user error, and other problems. In addition, physicians complain about clumsy, unintuitive systems and the number of hours spent clicking, typing, and trying to navigate them, which is more than the hours they spend with their patients. EHRs were the virtual magic bullet that would make medicine safer, bring higher-quality care, empower patients, and save money, but instead “the system is an unholy mess,” the authors say.